Troubleshooting Tips: If the embed code is not detected within Justuno, please refresh your dashboard and the notification will go away! 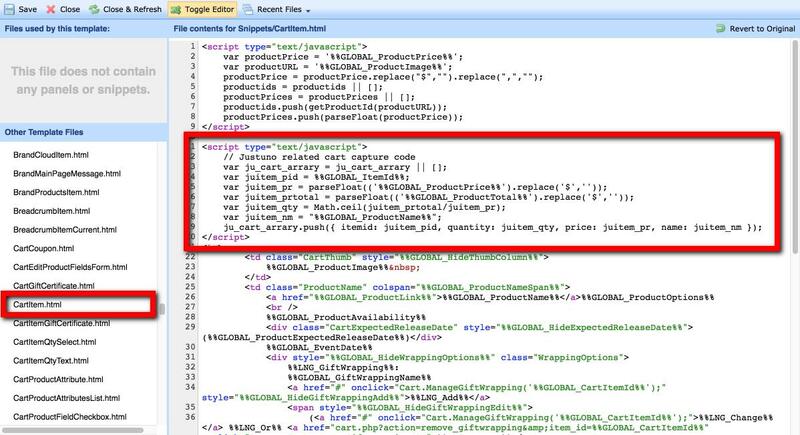 It can take a minute or two for the code to be detected. 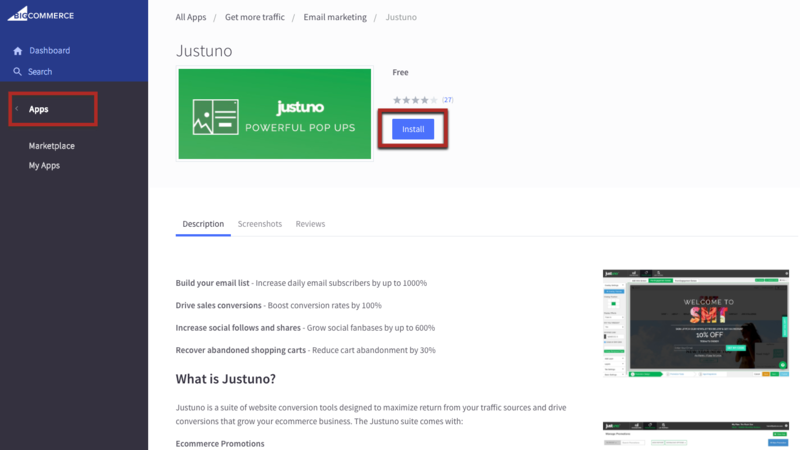 Step 2: Once in the Justuno page hit install and walk through the set up. If you have an account associated with Justuno already a prompt will occur asking you to enter in your password. If you'd like to create a new account use Option 2. 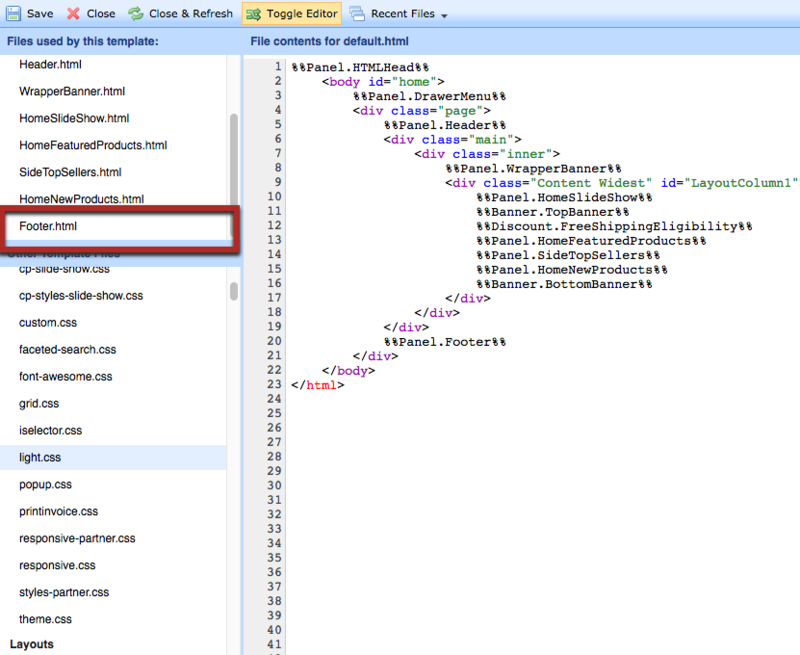 Step 6: Paste the embed code on the bottom of the footer html page. Hit save and your all set! You can now use the app store to get into your Justuno Dashboard! Important note: Deleting your app within Bigcommerce does not cancel your account! You must walk through canceling your account within Justuno to ensure that billing will stop. Step 7 (optional but recommended): Please follow the below instructions to enable visitor cart tracking for use with promotion rules and personalization. 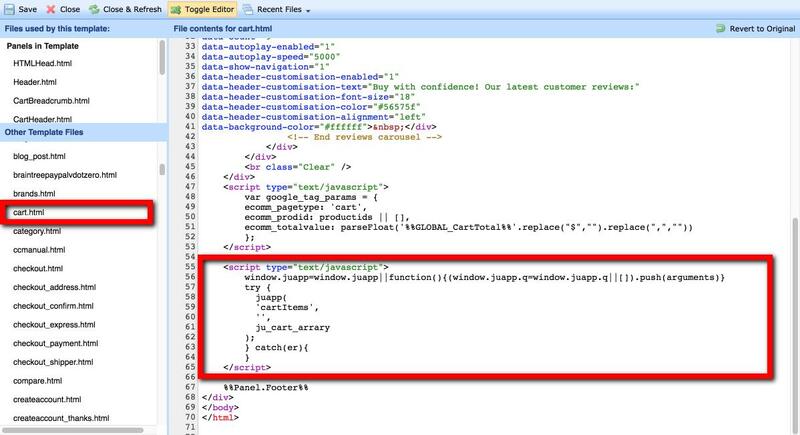 If you are using the "Show Cart Suggestions" feature in your Bigcommerce store. 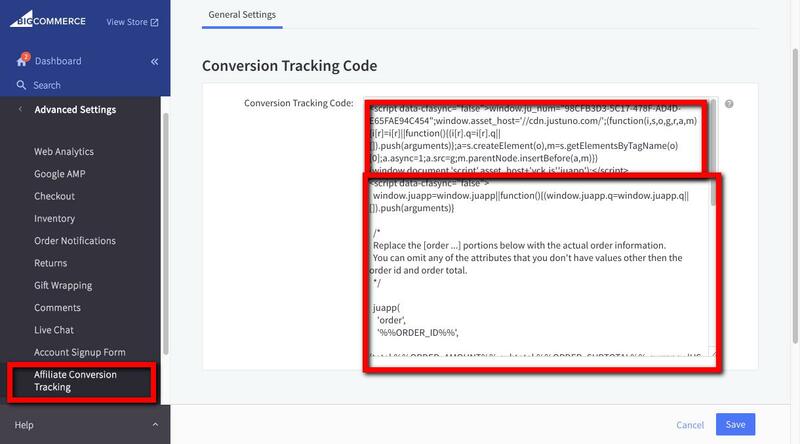 Step 8 (optional but recommended): Please follow the below instructions to enable conversion tracking for use with promotion rules and analytics. 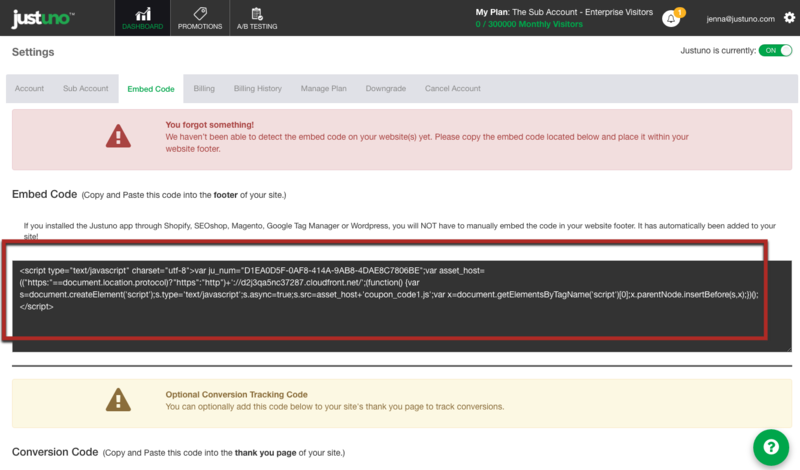 B) Copy the following code into the "Advanced Settings" > "Affiliate Conversion Tracking" section of your Bigcommerce dashboard underneath the code you just copied from above.